Plants are the essence of a garden. As opposed to non-living materials that form our exterior landscape spaces, such as wood or stone, plants are the living beings through which we form our partnerships with nature. Differing from 'hardscape materials' that are more permanent landscape elements, plants are dynamic lifeforms that are in constant flux through growing, flowering, fruiting, reproducing, maturing, and eventually dying. Plants are the basis for other forms of life in the garden, so that we may enjoy the visit of a cardinal or the bright fluttering wings of a butterfly on a summer's day. The types of plants that we choose and how we arrange them in our gardens must satisfy functional and program needs, as well as to be able to fulfill our design intent. The ultimate goal of combining plants in the garden successfully is being able to achieve harmony. Plants should harmonize with the unique qualities of the site, building elements and materials, and other plants in a way that complement each other. A good planting design should appear as if each plant belongs there and not more can be added or taken away. In other words, a good planting design is never finished. Unlike photographs of gardens that exist only in two dimensions in a frozen moment of time, landscapes are multi-dimensional places in which we directly experience nature. In addition to height and width, humans can perceive depth, fragrance, colors, sound, taste, touch, and time. These sensorial qualities help to define the feelings and moods that we experience in a garden, and our planting compositions can be designed to evoke feelings of serenity, excitement, curiousness, mysteriousness and other perceptive qualities. Similar to the structure of a house that has walls, ceilings, floors, corridors, and rooms; gardens are also composed of structural and spatial elements. Garden spaces should be arranged in terms of their size, shapes, and materials according to the types of activities that will occur there. Just as the function of a kitchen is different than a den, an herb garden should be designed much differently than an outdoor entertainment area for fifty people. Plants can perform the same functions as constructed materials. Evergreen hedges form walls, arching tree limbs and sky become ceilings, groundcovers and lawns are floors, low shrubs can act as windows or implied barriers, and tree allees are corridors. When designing an outdoor garden space, think of designing rooms outside. After a site is through understood, with a proper site inventory, analysis, and conceptual stages--designs for circulation and hardscape materials (patios, arbors, walkway, benches, fountains, etc.) should be completed. When the footprint and material types for these permanent items are decided, the planting design can then begin. It is not to say that perfect plant locations could not occur early in the design process, but due to their permanency, resolving hardscape locations and needs should be given priority. By its given nature, each plant species has its own structural characteristics. Every plant variety has a certain mature height, spread, form and ornamental qualities. A thorough understanding of the plant's character should be learned before becoming a choice in planting design. For the purpose of defining spaces in a planting design, we categorize plants by height. There are canopy trees (trees greater than 60 feet in height), upper understory trees (40'-60'), lower understory trees (20'-40'), large shrubs (15'-20'), mid-size shrubs (8'-15'), low shrubs (4'-6'), and miniature shrubs and groundcovers (6"-4'), and herbaceous plants (plants that die back completely to the ground each winter). When beginning a planting design, it is best to start with woody plants (plants such as trees and shrubs with permanent stems). Woody plants will form the spaces of the landscape room and are considered the 'bones' of the landscape design. In addition to plants forming the spaces of a garden, they can be utilized to solve other landscape problems. Evergreen hedges can screen unsightly views, fibrous-rooted plants such as willow and bamboo can solve erosion problems on eroded slopes, deciduous trees planted along southern and western aspects of a house can provide shade to lower utility costs in summer while allowing sunlight to warm in winter, and evergreen shrubs can block north winds in wintertime. In the analysis phase of your landscape design, these problems can be identified as areas where plants are located to provide the solution. It may take only one plant to solve the problem, or it may require an entire grouping. It is important to remember that plants solve many environmental problems. Plants help clean the air through their leaves (important in urban areas), retain moisture in the soil, reduce water runoff, and provide habitats for birds, insects and other animals. Before any planting design can begin, the microclimates of the site must be identified and understood. Microclimates are defined as the unique climactic environmental conditions of an area. Your landscape plan should identify the direction of the sun at sunrise and sunset during different seasons, areas that are sunny or shady and to what degree, and prevailing wind directions in summer and winter. By identifying the unique areas of your site you will be able to choose plants that will be successful growing there. Sometimes the microclimate can vary dramatically just a few feet away from each other in a garden. For example, an area along a sunny brick south-facing wall will be slightly warmer in the winter than an area away from the wall. This warmer location allows the opportunity to grow more cold-sensitive plants. It is always best in a planting design to choose plants adapted to the conditions of an area, rather than to modify the conditions in order to grow certain plants. 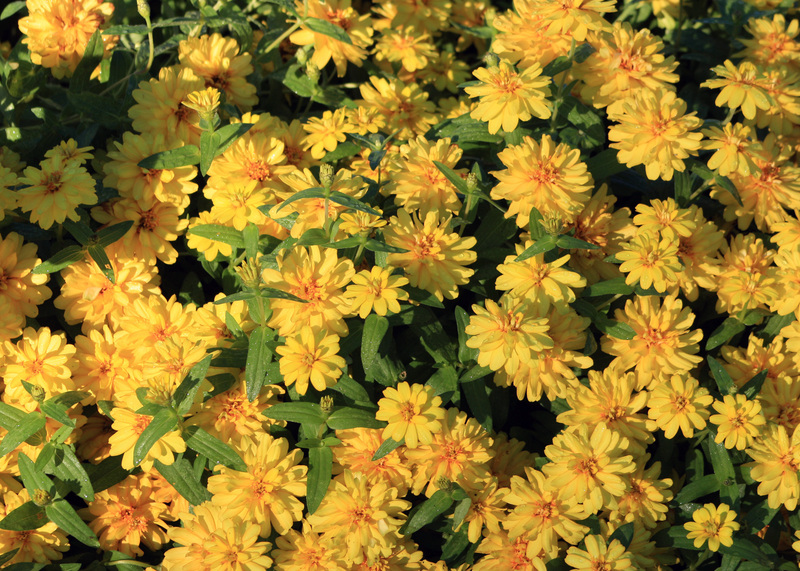 There is a wealth of plants well-suited to just about any type of growing condition. Each plant variety has a unique form, leaf or bark texture, leaf, flower and fruit color, plant form, and other characteristics. The art of planting design is a joyful combination of these plant qualities and how well plants complement each other through the seasons. As an example, let's choose a scenario of a planting design of a small planting space against a brick wall with well-drained soils in a partial shade area. Selecting a plant that you prefer is not important at this time, but identifying the qualities the plants should have is prioritized. First, we have the environmental condition of partial shade with well-drained soils. Second we have a tall brick wall where taller plants will be needed to scale down the wall height. Third, we have only a small planting space so that plants will need to grow vertically and not in width. Last, we should have a simple combination of plants that will combine together. Large shrubs or small trees for partially-shaded narrow spaces include devil's walking stick (Aralia spinosa), parasol tree (Firmiana simplex), and Japanese yew (Podocarpus macrophyllus). Medium shrubs can include Oregon-grape holly (Mahonia bealei), American beautyberry (Callicarpa Americana), and azaleas (Rhododendron spp.). 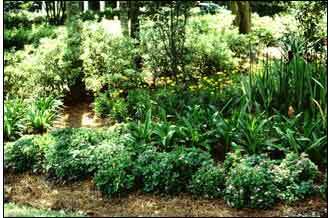 Groundcovers include Asian jasmine (Trachelospermum asiaticum), ajuga (Ajuga reptans), and ardisia (Ardisia japonica). Like fitting together the pieces of a puzzle, the choice of plants should complement each other in color, form, texture, evergreen or deciduous quality, and flowering or fruiting time. If a large deciduous shrub is chosen, an evergreen plant should be placed nearby to provide winter interest. If a spring flowering plant is chosen, a summer or fall blooming plant could be planted to provide additional interest. One possible combination from this group of plants for this area may be parasol tree, Oregon-grape holly, and ajuga. Parasol tree provides the tall overstory, Oregon-grape holly the mid-level shrub, and ajuga the groundcover. Parasol tree is deciduous in winter, has large coarse-textured leaves, and interesting green trunks. Oregon-grape holly blooms in winter, has interesting summer fruits, and medium-textured evergreen leaves. Ajuga blooms in spring and provides a low purple foliage groundcover through the summer months with spring flowering. There may be many other plants that will fit this situation and may be combined in a number of ways to provide the best results. The important thing to understand is the nature of plants that you are working with and how they will best work together. 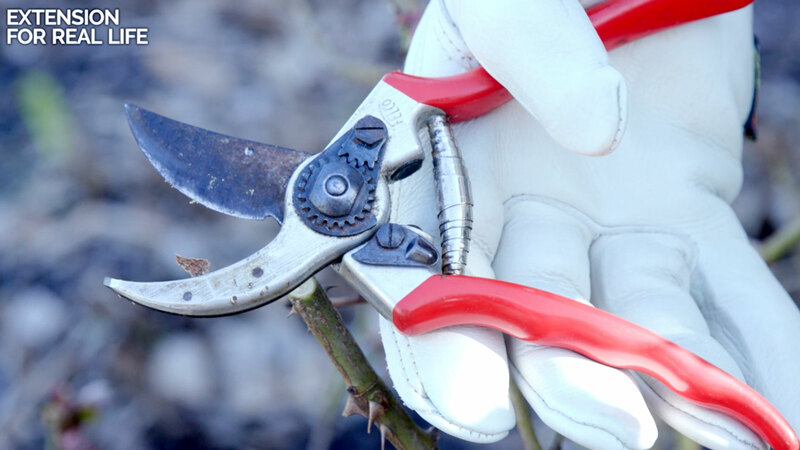 Equally important in choosing plants are maintenance considerations. Some plant varieties are more prone to insect, disease or other problems and should be evaluated unless the proper maintenance can be afforded. These factsheets were written by Robert F. Brzuszek, Assistant Extension Professor, The Department of Landscape Architecture, Mississippi State University. 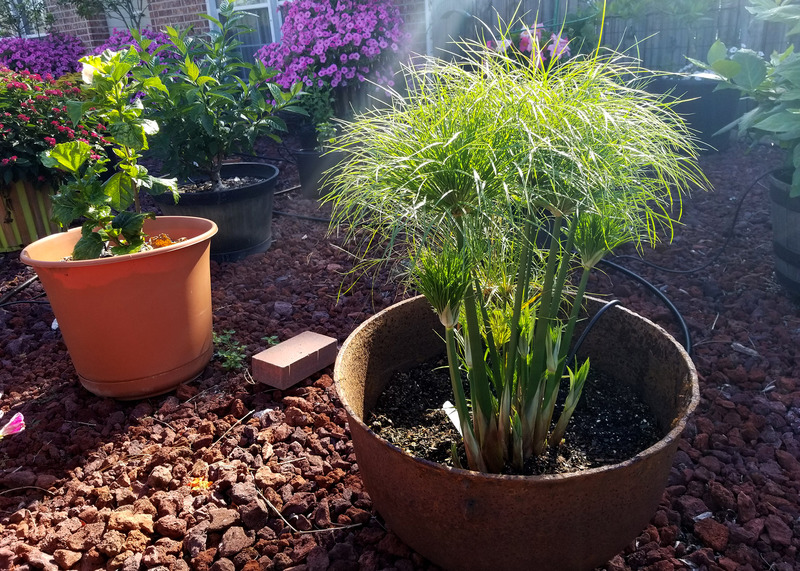 The last few weeks have been hot and humid, and many of my gardening friends are ready for fall's cooler temperatures. With all of the bright, colorful summer annuals we’re planting this month, I find myself looking for more out-of-the-ordinary plants for my landscape. One that always creates a bit of a stir and generates questions is an old plant called papyrus. Papyrus, similar to the plant grown and used by the ancient Egyptians to make paper, is easy to grow and has few pests. 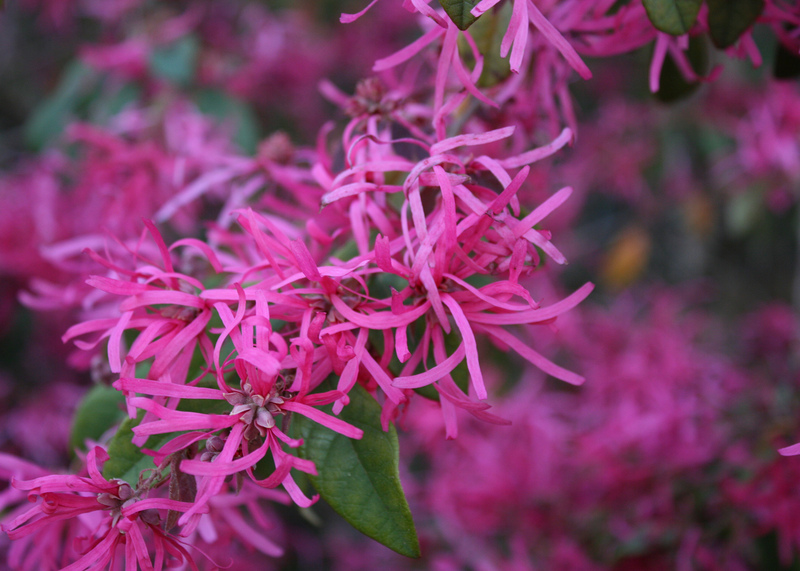 If you’re intrigued by this plant, you will be happy to learn there are three selections suitable for use in our Mississippi landscapes. One of my favorite spring flowering trees is our native redbud. This small tree flowers early in the spring before most other trees have started to leaf out after their winter naps. 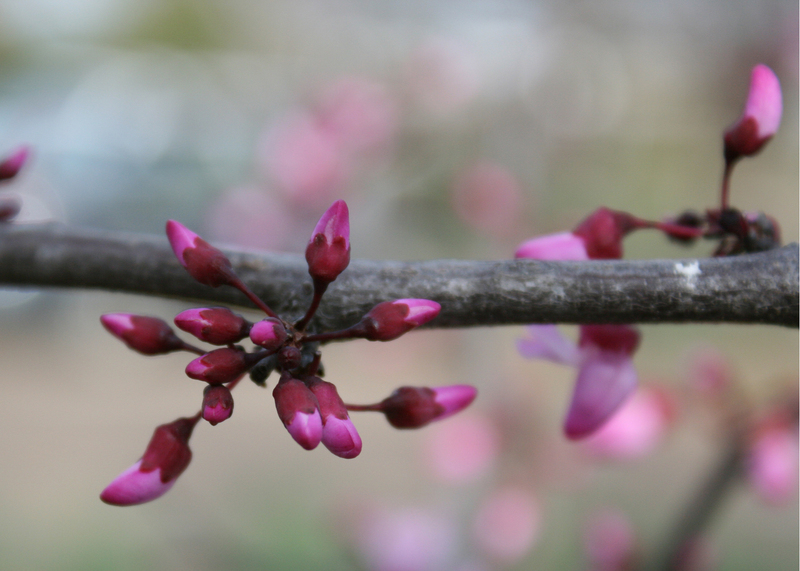 It’s good that redbuds blooms so early because they are usually found as understory trees. While driving around the state, it’s common to see a redbud framed or silhouetted by leafless hardwoods. We're finally emerging from the "freezemageddon" we experienced earlier this year, and the garden and landscape are emerging with a vengeance.